The constantly-evolving ‘nexus’ between crime and terrorism, ranging from simple deals to complex symbiotic relationships, demands greater understanding to break the illicit flow of black-market cash across borders, a United Nations meeting heard on 8 October 2018. 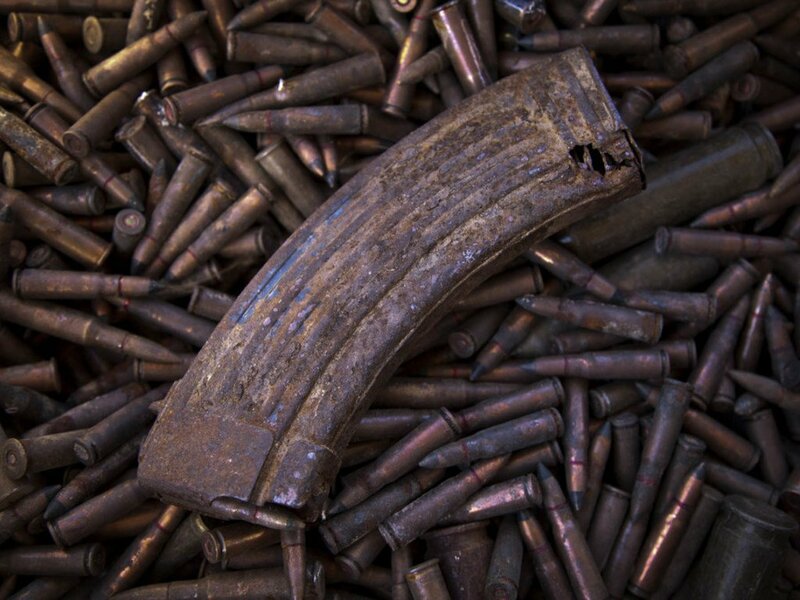 MINUSMA/Marco Dormino | Ammunition for small arms and other unexploded ordnance, stored at a secure location in Mali, prior to their safe disposal. Terror groups are getting increasingly-involved in “lucrative” criminal activities such as trading in natural resources and human trafficking, Michèle Coninsx, the Executive Director of the UN Counter-Terrorism Committee Executive Directorate(CTED), told the Security Council briefing on the issue. “We know that terrorist groups recruit individuals with criminal background or criminal skills, and petty crimes are committed to finance terrorist activities, including travel of foreign terrorist fighters,” explained Coninsx, noting that conflicts and instability further entrench such deal-making. Looking ahead, Coninsx urged the international community to strengthen cooperation in the fight against terrorism and its support structures, especially to identify new terrorist trends, map linkages between terrorists and criminal groups, and share information more effectively. Velásquez, also the Permanent Representative of Peru to the UN, highlighted the importance of international instruments – in particular, the UN Convention against Transnational Organized Crime and its supplementary Protocols and Security council resolutions – for countries to disrupt criminal and terrorist groups. While dynamics of individual groups are unique and highly localized, both criminal and terrorist groups contribute to instability and undermine governance, and both rely on the “strategic” use of violence said Adal. At the same time, ensuring that Governments and societies allow the benefits of development to reach all citizens, is equally vital, added Adal. (SOURCE: UN).